Here is the unique collection of Agate Arrowheads 1.50 Inches. This amazing arrowheads is available in size of 1.5 Inches. Arrowheads is help to protect from negative energy.With regards to stones, agate and jasper stones are utilized. 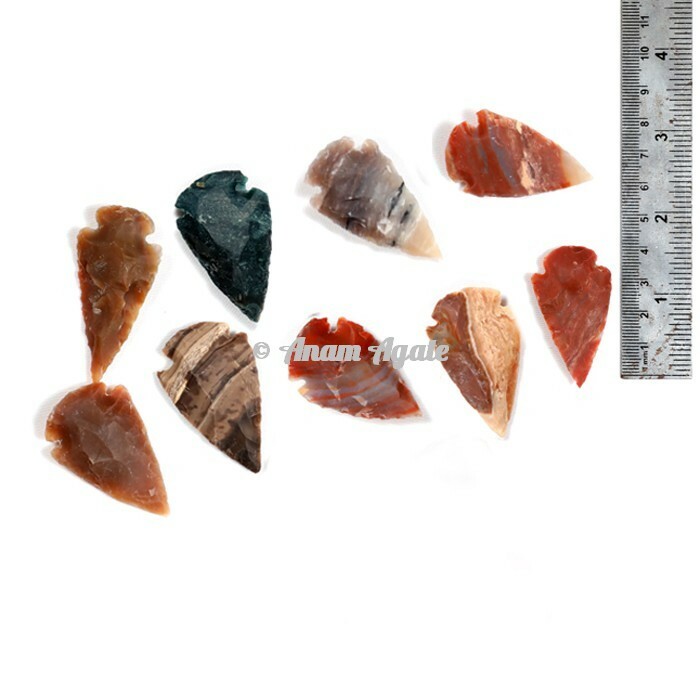 The grouping of various agates makes the set colorful.You can order maximum 500 pcs.You can customize your arrowheads.Get your best deal at Anam Agate.